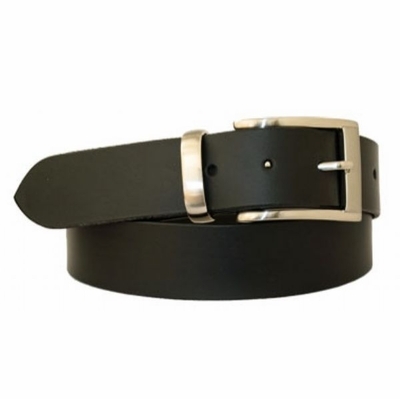 1 3/8" Wide Made in U.S.A Full Grain Cowhide Leather Belt. Nickel Brushed finish Buckle and loop. Belt measured from where the leather ends at the buckle end to the middle hole at the tip end.